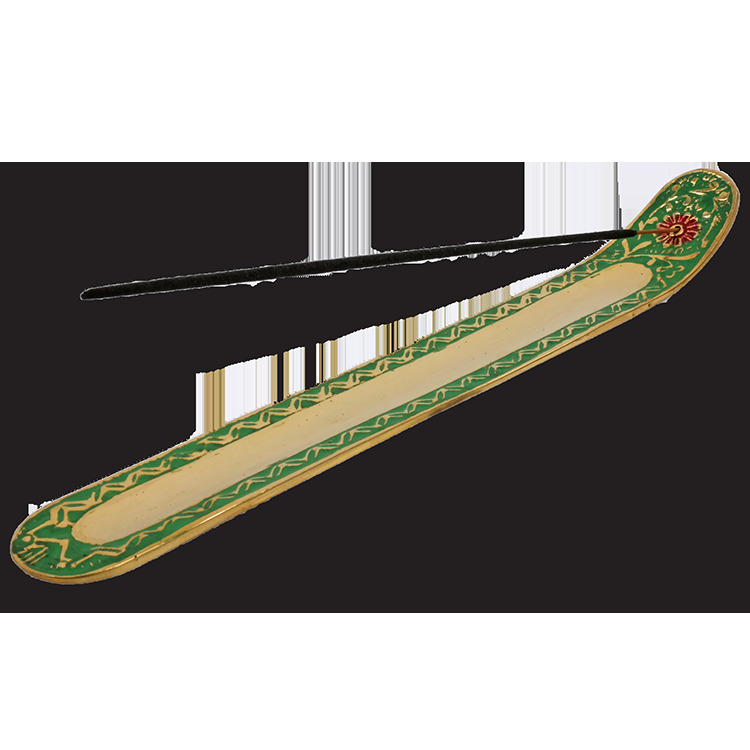 This incense holder is made of heavy brass intricately embossed and then colored. 10.25 x 1.25 x 1" high. Natural brass, green and crimson flower detail at hole.